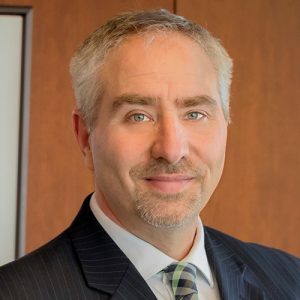 Ron Feldman is first vice president and chief operating officer at the Federal Reserve Bank of Minneapolis where he leads Bank operations, including finance and budgeting, strategic planning, workforce and talent development and performance against strategic objectives. Feldman is also a primary advisor on monetary policy, playing a leadership role in preparing for Federal Open Market Committee meetings and in the development and communication of positions on monetary policy. An expert on financial institutions and related government policies, Feldman has authored more than 50 articles on topics related to banking, finance and monetary policy. He is one of the foremost authorities on the too-big-to-fail problem, co-authoring Too Big to Fail: The Hazards of Bank Bailouts, published by the Brookings Institution (2004). Since joining the Bank in 1995, Feldman has served as a senior officer for Supervision, Regulation and Credit and ran the Financial Services Support Office, which assists in the oversight of the Federal Reserve’s financial services. He has a B.A. with distinction from the University of Wisconsin and an M.P.A. from the Maxwell School, Syracuse University, where he was a university fellow. He is a fellow of the National Academy of Public Administration. Feldman is married and the father of three children. He is an active community member, serving on the boards of Second Harvest Heartland, the Center for Economic Inclusion, the Talmud Torah of Minneapolis, and Ready, Set, Smile. He is on the Board of Visitors for the University of Wisconsin-Madison History Department.